Former U.S. figure skating champ Nicole Bobek has pleaded guilty to charges of helping distribute crystal methamphetamine. Former U.S. Olympic figure skater Nicole Bobek has been arrested in connection with dealing meth. 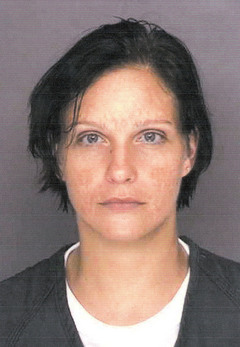 Authorities in New Jersey say she was “actively involved” and played a “significant role” in dealing the drug. Bobek won the U.S. figure skating title in 1995. That was one year after famed skating bad girl Tonya Harding, the most controversial figure in skating history, won the same title. Harding is famous for her run in with Nancy Kerrigan. Bobek and Harding have often been compared. Bobek was once called “a poor man’s Tonya Harding.” She was arrested in Detroit for a home-invasion in 1994. New York Yankees owner George Steinbrenner once paid part of Bobek’s Olympic training expenses but she finished a disappointing 17th at the Nagano Winter Olympics in 1998. Bobek’s bail in the current meth case is $200,000. She faces up to 10 years in prison.